Need to make edible sand for a sandcastle cake? Or has a bride hired you to make a beautiful beach themed wedding cake? 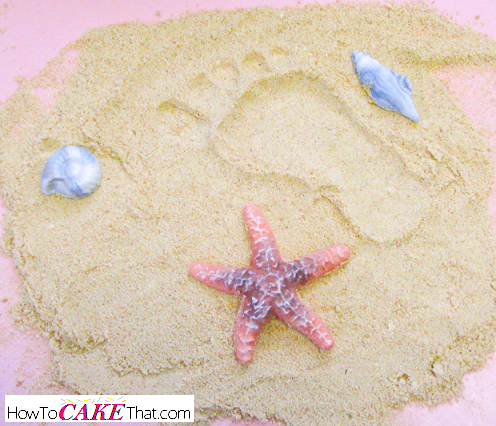 Well, I have the perfect edible sand recipe to go along with your beach theme cake! It looks just like real sand, and the granules are very fine and soft and have a tiny hint of moisture for perfect smoothing and/or finger writing in the sand. And best of all - IT'S DELICIOUS!! I developed this recipe for one of my very first decorated cakes, and it's the same recipe I've used ever since! It was so yummy and worked so well, there wasn't any need to change it! And when I have leftover sand, we love to sprinkle it on vanilla ice cream! 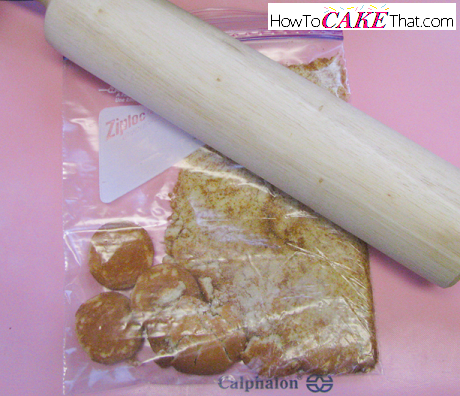 Note: brown sugar most definitely works best for holding its shape (especially for finger writing in the "sand") since it will dry a little hard, but this recipe is a nice alternative for sand that will be eaten for those that want a less sugary option. To begin this recipe, add 3/4 cup graham cracker crumbs to a medium mixing bowl. I like to use the ready-to-use Honey Maid "Graham Cracker Crumbs". 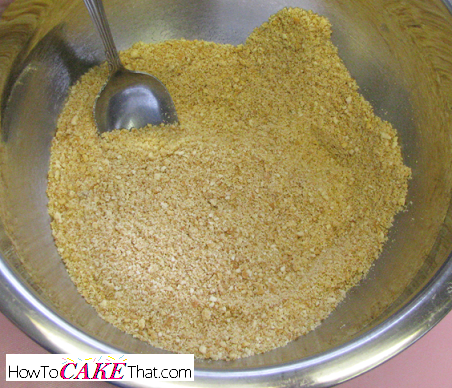 Add the crushed Nilla Wafers to the graham cracker crumbs. Next, add 1/3 cup firmly packed light brown sugar. The brown sugar adds a little moisture and stickiness to the crumbs, giving them the ability to lightly stick together. This allows for sand-writing with your fingers! Next, stir ingredients together until evenly blended. 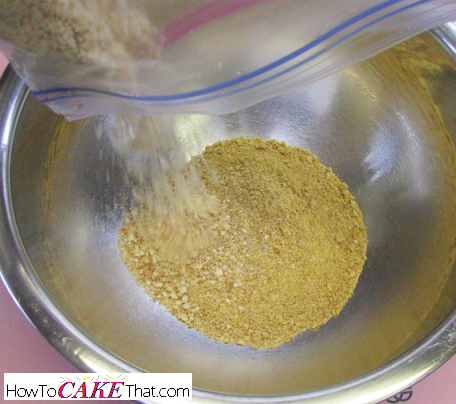 Then take your mixture and process it in a food processor until finely ground and mixture has a sand-like appearance. If you own a large food processor, feel free to skip the beginning mixing instructions and just pour all ingredients in the processor. I own a tiny single cup processor, so the first steps are necessary for me to ensure ingredients are evenly mixed. 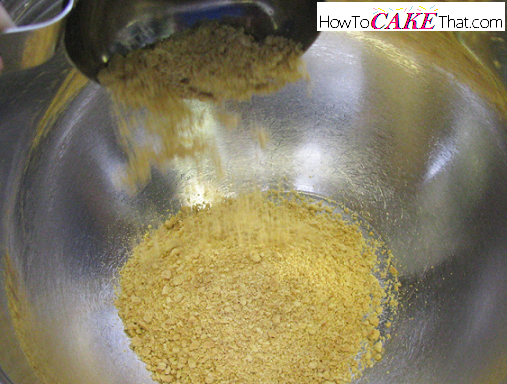 After processing your sand, if it seems too dry, feel free to add more brown sugar until you get the desired effect. 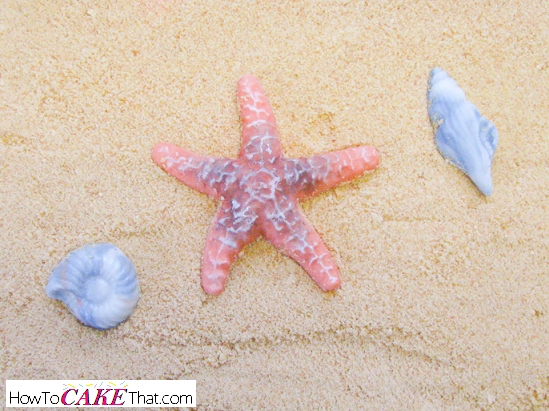 You'll end up with edible sand that is perfect for displaying your sea creatures and seashells. Or for drawing a heart in the sand for a wedding cake. No matter what ingredients you decide to use, the secret to this recipe is processing it in the food processor. 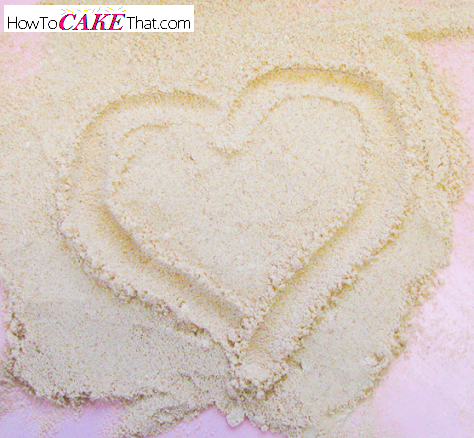 The food processor gives your edible sand a nice fine texture. So feel free to try different ingredients such as cake crumbs, cookies, or whatever you can think of! I hope you have enjoyed this tutorial! God bless!